The quality home from quaity developer, Q House(QH). 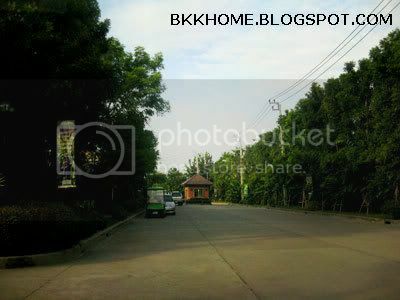 It is located on Saimai road which the developed route in north of Bangkok. It has full facilities such wet market, supermarket as Tops and new opening Carrefour. Vararom home owner can walk and shop at Carrefour easily. Saimai road is connecting north eastern area to the downtown which link to major arteries as Paholyothin and Vipavadee road. Moreover, you can go both airports easily by using eastern ring road for Suvarnbhumi which is widen to 8 lanes high way. If you wan to go to CBD area, we'd like to reccomend to use the express which located on Sukhapiban 5 road. Vararom project is built which the high quality material. Some house model is used for QH's premium project as Laddarom. 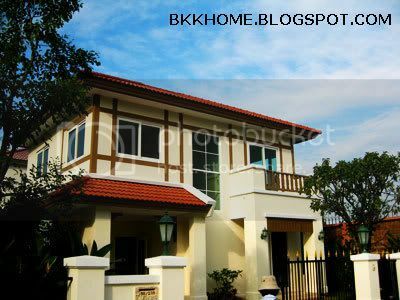 So many customers from Laddarom bought Vararom house that saved them around 1 Million Baht. Vararom is appied the double security gates system which separated area between visitors and residents. The system mostly found in thailand high-end housing projects such as Land and Houses (LH), Quality House (QH) or Sansiri (SIRI). Master layout is long deep and devided into small cluster with only 8 units. It's high privacy for your living. High quality fitting, built in kitchen (Starmak). The unique selling point is the green living room which link between inside and outside area. This home type is completed with 3 bed rooms and 3 rest rooms. Staff, i disappointed last time that i visited the project. 1. Plan, plan, plan. Go through your home and note down how you actually use the space that you have. Then, look at it with an eye toward how you can better utilize that space. You'll need areas for cooking, entertaining, relaxing, sleeping and possibly a home office. Write it down and then decide on the best places to fit those uses. Don't need a formal dining room? Make it an office instead. A room doesn't always have to be used the way the architect intended. 2. Get rid of the clutter. When you have a lot of "stuff" and very little space, the clutter-filled space that you do have can look a lot smaller than it actually is. So the first task is to clean out what you don't really need. Have a garage sale, give to a charity and throw the worn out items into the dumpster. 3. Use color to visually enlarge the space. Choose lighter colors to give the room a more open look. Also, try to go monochromatic. Choosing tones that are in the same color family fools the eye to make spaces seem larger. Your furniture colors should blend in with your wall and carpet colors so that they don't break up the visual flow. 4. Paint the ceiling a lighter color than the walls. Avoid using a heavy patterned wallcovering in a tiny room. 5. Select furniture carefully. Choose styles that are multipurpose. Furniture like ottomans that have removable tops and tables that have drawers for storage are ideal for a small room. Trundle or bunk beds or even loft beds are just the ticket for kids rooms or a den. Taller end tables with curved, narrow legs draw the eye under the piece, thus making the space feel larger. Dining and coffee tables that are made of glass provide a place for accessories without blocking the room's view. 6. Use lighting to make a room look larger. Add lighting such as track or recessed lights. Also, eliminate heavy draperies. Use light sheers that will allow the sunlight to show through, or use no window coverings at all if privacy isn't an issue. With the right kind of lighting, you can use darker colors in paint and furnishings. In fact, the result can be quite dramatic with the correct lighting effects. 7. Use a mirror to visually enlarge the space of a room. Not only will its reflection make the room feel twice as large, but it will reflect light around the room further increasing the visual space. Visualizing the ways your rooms should work for you is a good first step to take when decorating a small space. Small rooms do not have to feel cramped and unusable. They can be beautiful and cozy with a little planning and creativity. Jude Wright is the owner of DecoratingSimple.com where you can find great decorating ideas for those on a budget. The project is located on Ramkamhaeng road and near eastern ring road. It is a smart choice for many people because it's located in the community. Golden place supermarket and also Carrefour on Sukhapiban 3 road. KC Natural Ville has fully facilities surrounded. There are many type of house models. Home is designed with big sliding doors to link between inside and outside. It is not the newly launch project. The village service unit is just simple nothing special. before you reach KC Natural Ville entrace gate. Due to its narrow soi and number of vehicle, in rush hours you may face with traffice jam in front of village. House price is negotiable. It start with 3 million Baht. The best promotion is buying home bundling with a car. It is one of value for money project. Narrow soi, one access & entrace gate need to pass town house. Parkway Chalet from Tararom group is located on Sukhapiban 3 road. Sukhapiban 3 road is a major road with 40 m road width. It is the major road of eastern Bangkok area which connecting to Romklao, Serithai, Suwintawong, Ladprao, Eastern ring road and Rama IX road. The facilites are surrounded. Big C supercenter is located opposite the project. Suvarnabhumi airport is close to this village. The famous universities including KMITL, NIDA, ABAC and Kasembundit. There are several high schools in this area including internation schools. Kasemrat hospital is also located on this road. Village sport club is located in the entrace of village. It is a huge one. The club is integrated with fitness and spa. 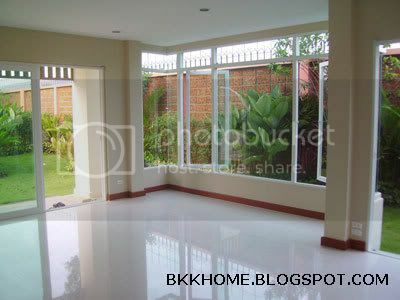 The home price is start with 4 million Baht. The cheapest house is located 3 kilometer off from the main road. The home usage area is not fit my requirements. The smallest one is 120 sqm then jump to the big one with 170 sqm. Parkway Chalet does not has mid size such 140 or 150 sqm house model. The house concept is Swiss Chalet design. 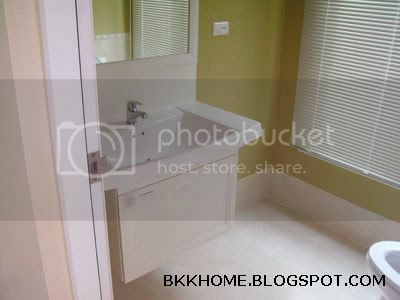 There are international environment due to residents are both Thai and expat. The sales officer has good service minded. When i came by walk last time, she also treat me well.